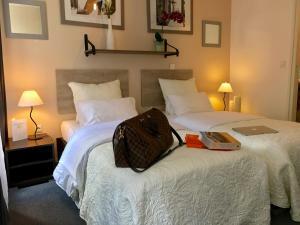 Hôtel Clairefontaine is located just a 5-minute walk from Montparnasse and Denfert-Rochereau Metro Stations, which give direct access to the Champs Elysées, Montmarte, Notre Dame and Eiffel Tower. 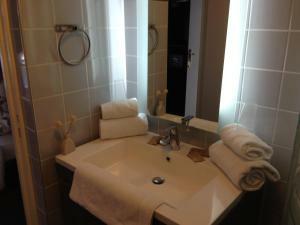 The hotel offers a 24-hour reception, luggage storage and laundry services. All the contemporary rooms features a flat-screen TV with satellite channels, a desk, safety deposit box, wardrobe and a private bathroom with a shower. The hotel offers both a buffet breakfast, which can be served to guest rooms. You can also dine on the terrace in the garden while browsing the free Wi-Fi and daily newspapers. A large range of bars and restaurants can be found in the area. 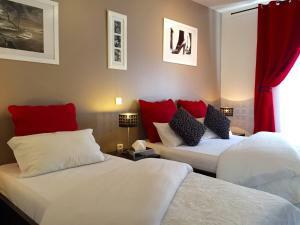 The property is also ideally located a 5-minute walk from Montparnasse-Bienvenüe Train Station. Guests have a choice of 2 paid parking areas at Vinci Montparnasse and Vinci Gaîté. Porte de Versailles Exhibition Centre is 5 km away. A public shuttle service is available for guests using Orly Airport. It leaves from Denfert Rochereau Square, which is a 5-minute walk away. Denfert Rochereau Metro Station also offers direct access to Charles de Gaulle Airport and the Latin Quarter. Please note that rooms for guests with reduced mobility are available upon request and subject to availability. These contemporary rooms include an LCD TV with satellite channels. Rate: € 59.50 ... € 250.00; select dates below to get current rates. A patio and an LCD TV with satellite channels feature in this room. 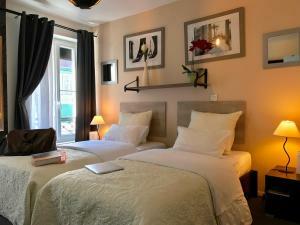 This twin room features a patio, satellite TV and iPad. Rate: € 65.10 ... € 250.00; select dates below to get current rates.